Unlike other countries in the nineteenth century, the murder rate skyrocketed in the United States, and this wide statistical gap remains to this day. 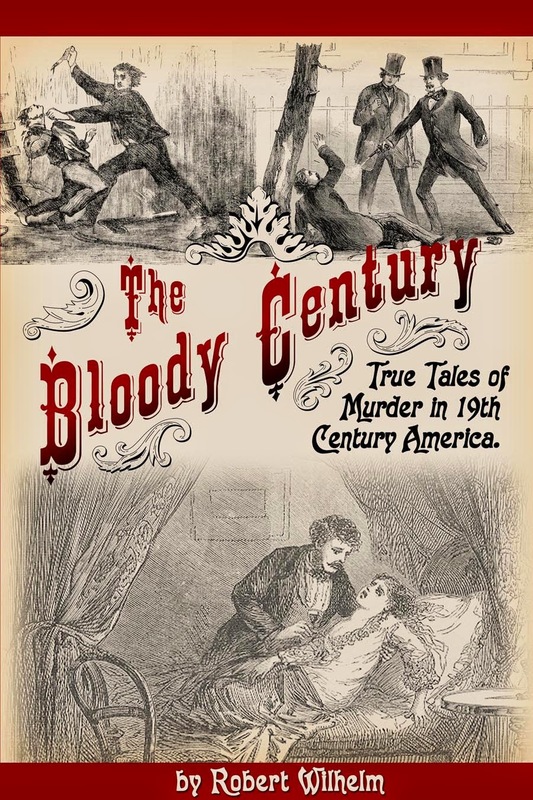 No one has chronicled the resulting tales of murder in nineteenth-century America as thoroughly as Robert Wilhelm has in his blog Murder By Gaslight, and in his book The Bloody Century he revisits the most compelling murder cases from this era. Wilhelm puts each murderer back on trial with a detailed investigation into the available evidence drawn from the newspapers, trial reports, and murder ballads that saturated the reading market. The result is an arresting portrait of the dark-side of American life, when the country became a “Homicidal Nation” and the intrigue of murderous deeds captivated the nation. I've been a fan of Robert Wilhelm's "Murder by Gaslight" blog for years and I'm so pleased that readers are being treated to the very best of his posts in this interesting and entertaining collection. There's something here for everyone - tragedy and comedy, open-and-shut cases and wrongful convictions, rich and poor, city and country, and more. Readers will delight in the period engravings, the emphasis on how the cases influenced popular culture, and the extensive research that provides for further reading. The Bloody Century is a welcome and lively companion to Judith Flanders' recent The Invention of Murder, with a decidedly American flavor.